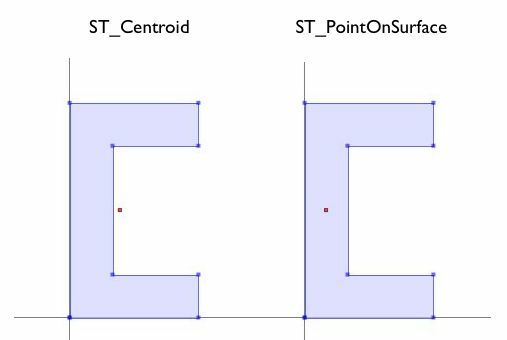 the difference between a "centroid" and a labelPoint is that the centroid may be outside the polygon. Essentially, you would just use ref_polygon.representative_point().wkt instead of the centroid method. Edited to provide real example. Not the answer you're looking for? Browse other questions tagged python geometry algorithm or ask your own question. Does shapely within function identify inner holes? Find longitude for point between two coordinates with pyproj? How to surround a Polygon object with a corridor of specified width? Determining if point on boundary using ArcPy?